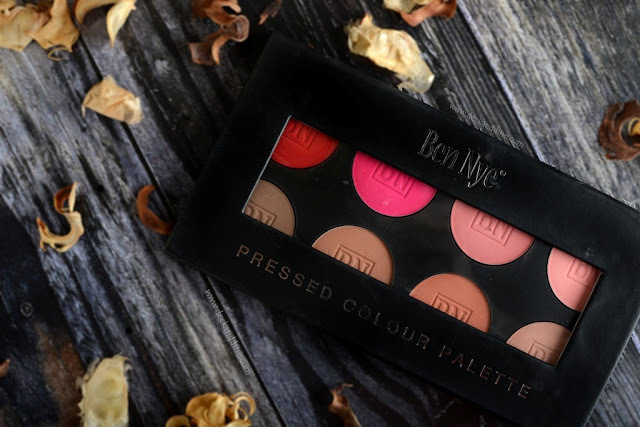 Home ben nye blush palette Ben Nye blush review ben nye contour refill review ben nye pressed color palette bennye blush refill review face review BEN NYE FASHION ROUGE PRESSED COLOR PALETTE: Review and Swatches of 8 Ben Nye Powder Blush And Contour Refills. 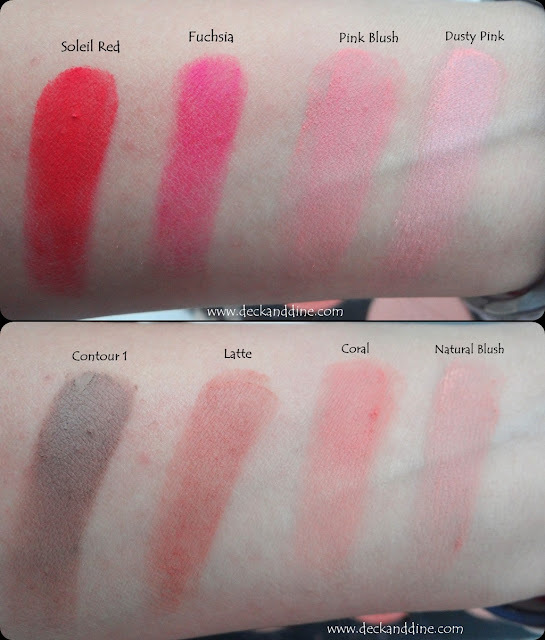 BEN NYE FASHION ROUGE PRESSED COLOR PALETTE: Review and Swatches of 8 Ben Nye Powder Blush And Contour Refills. How important it is to wear blush? If you ask me, the importance of blush was most of the time disregarded by me, simply because I didn't understand exactly where and how to apply. But my love for blushes grew over time and now blush hold a special place in both my heart and vanity; ohh!! on my cheeks as well. Today I am here with a review of Ben Nye Fashion Rouge Pressed Color Palette ESP-476. This is a refillable palette, which means you can fill them up with any color you want from the range. I have using this palette for quite some time now. I was just randomly going through my stash and realized that I hadn't reviewed this yet. So here it goes. 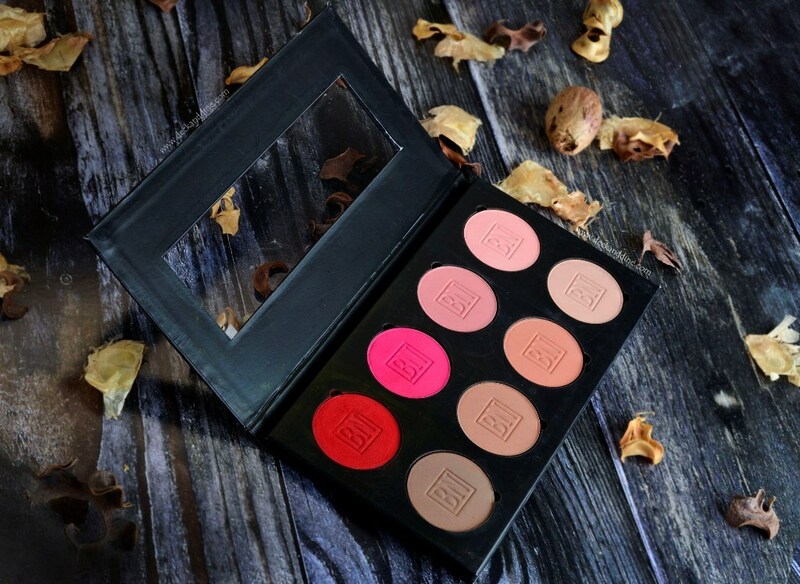 The Fashion Rouge Palette is an 8 color palette that is refillable and fashion-ready. Warm and cool shades are included in soft pink and coral hues for natural highlighting and contouring. The palette is a simple black one with cut out lid. You can easily see the shades inside. Pans easily pop in and out of empty palette wells, and fit perfectly into as well. RED for REAL. This is a gorgeous, vivid red. Again, FUCHSIA for REAL. A beautiful, brightened fuchsia. Matte Mid-tone Pink. It is a great everyday wear shade and very versatile. Well, this is anything but dusty pink. On me it is cute bubblegum pink. 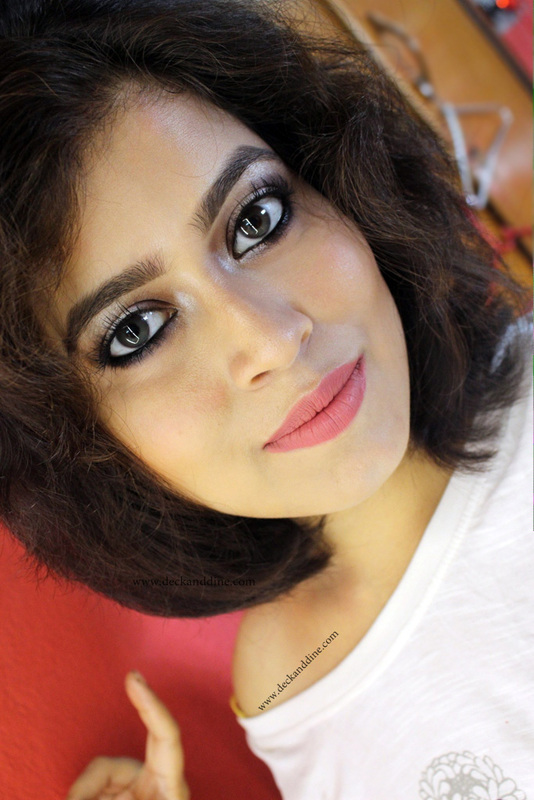 Brown with hints of grey, a perfect shade for me to contour my cheekbones, jaw line and nose. A very pretty peachy brown. Soft, smooth texture and beautifully pigmented. A soft coral which is utterly beautiful. Soft, smooth texture and well pigmented. A soft, peachy pink. Gives a really natural, beautiful and feminine flushed look. They have soft powdery texture and apply smoothly on cheeks. They are absolutely non-chalky and give beautiful and feminine flushed looks. They awesomely pigmented. But you can easily go sheer to bold. It is simple. Planning to wear it to office? Then use it with a light hand for a pretty flush of color. Planning to hit the dance floor in the evening? Then play around for a bolder look. Few shades, specially soleil red and fuchsia is incredibly pigmented, I just barely touch the pan with my brush and yet have plenty (read much more than enough) product. It is very easy to go overboard, so be careful. They last for hours on me and I always get compliment. Palettes consists of colors that are versatile, can be used both during day and at night. The palette offers a striking display of color. Silky texture, richly pigmented and long staying. You can choose from soft, natural shades for subtle flushed look, or bright and bold for night outs, parties, and fashion or avant garde designs. This will have you glowing. Moreover, you have the freedom to choose your refills and personalize your palette. From cool berry tints, sophisticated contouring hues to bright bolds and warm neutrals, the shade range is vast.